Kansas University’s football team is trying to downplay the whole scenario. 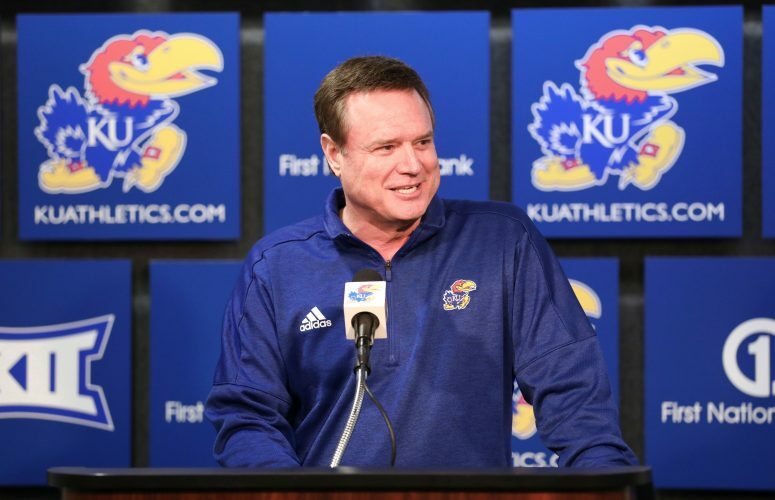 But history presents repeated evidence that the Jayhawks are benefiting from a fortunate scheduling quirk yet again. Kansas has this week off before playing rival Kansas State on Oct. 6 in Manhattan. K-State, meanwhile, has a little distraction this Saturday called the Texas Longhorns. The Oct. 6 Sunflower Showdown will kick off at 11 a.m. from Bill Snyder Family Stadium, it was announced Monday. It will be televised by Fox Sports Net (Sunflower Broadband channel 36). But here’s an interesting stat that plays into this year’s game: In the last 20 years, there have been five instances where the Kansas State-Kansas game was played with one of the teams coming off a bye week. The team with an extra week to prepare won all five times. Kansas State prevailed in 1991, ’93 and ’96 with an extra week. KU was victorious in 1992 and 2006 under the same circumstances. KU coach Mark Mangino said the timing of the bye week was irrelevant to him, though he did concede Monday that it could be a productive week of work with no game to worry about. Still, the Jayhawks didn’t lobby for a week off before the start of the Big 12 Conference schedule. The bye week actually was the result of Kansas and Missouri agreeing to move their annual game to Thanksgiving weekend. The 2006 and ’07 Border War games happened to be scheduled a week before the Kansas-Kansas State game before they were moved. 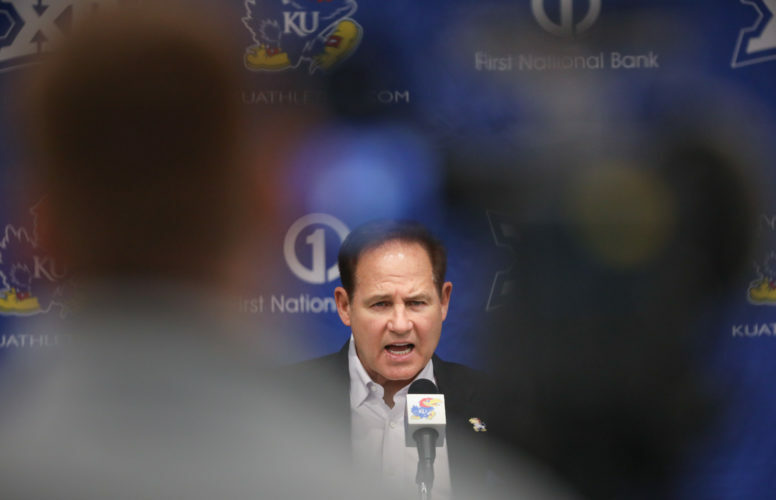 Mangino said his staff would start breaking down Kansas State film Monday. 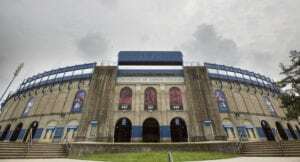 KU players had Monday off like they normally do, but will return to the practice field today to start the grind again. “A bye week’s a bye week,” tight end Derek Fine said. “Regardless of when it is, we’re still going to go out and work and do the things we need to do. That’s really it. 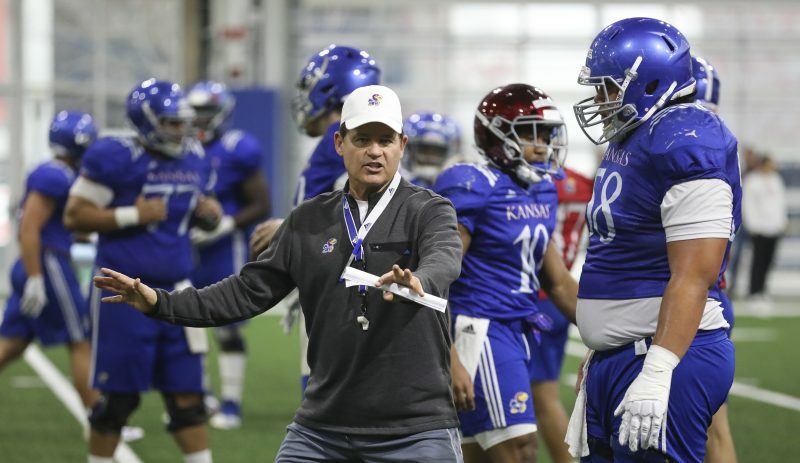 The Jayhawks will practice today through Friday before taking Saturday off. 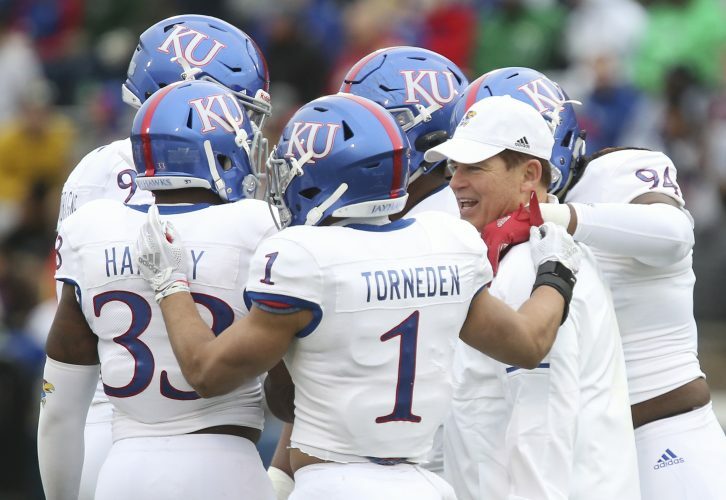 Many of the KU players probably will watch the Kansas State-Texas game Saturday, which kicks off at 2:30 p.m. and will be televised by ABC. After this weekend’s action, Kansas and Missouri will be the only two Big 12 teams yet to play a conference game. And if the players are any indication, it will be an impatient wait to get to the meat of the schedule.